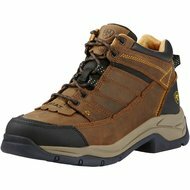 The Terrain Pro shoes are part of the Ariat Endurance collection and offer maximum comfort and stability even for long distances. The lining is moisture-proof and proven ATS Pro ® sole technology ensures comfort. Special air holes regulate the temperature in the shoe and the Smart Rebound ™ heel cushion acts as a shock absorber. 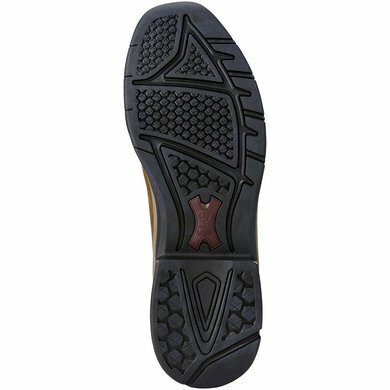 The non-slip Duratread ™ outsole provides durability and slip resistance and the EVA midsole offers shock absorption. 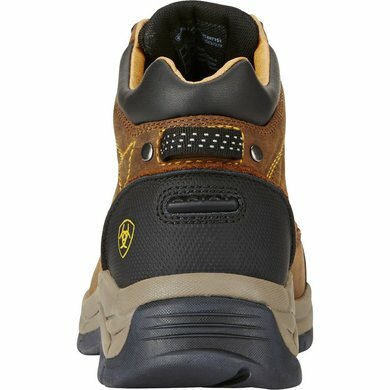 The upper is made of leather and Cordura combines protection, durability and high quality. 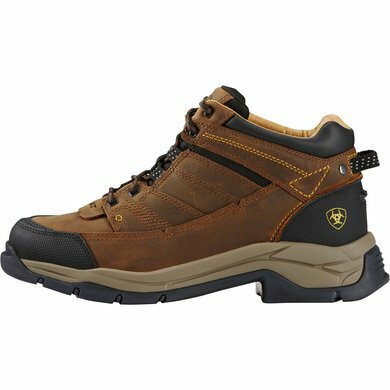 This shoe is perfect for outdoor activities of all kinds! Fall larger than other ariats. I get this from tired feet and not from the ariats at all. High quality shoes made of thick material without affecting the movement. Very fine shoe, I walk there all day long. Give good support to the foot. I always order this shoe again! 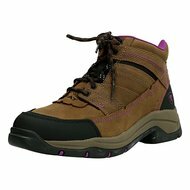 Answer: the Terrain Pro is designed with advanced technology to provide comfort and stability. A quilted top provides comfort and durability in addition to full grain leather and Cordura. With Ariat ATS Pro technology, which includes a moisture-filled lining, a Smart Rebound heel panel and a basic low-air ventilation to control the temperature, keep the feet cool and comfortable. 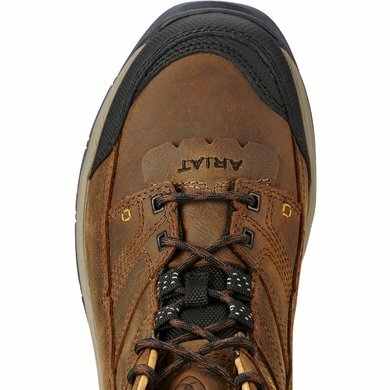 A shock-absorbing EVA midsole provides a cushion with better comfort and a Duratread sole for maximum durability and durability.